Away from doing music and business , Kibera’s hip hop star, Octopizzo, is also an amazing dad to two lovely and cute young girls. The daughters, born of different mothers, have now shown signs of taking after their father who is a musical guru within the competitive local entertainment industry. The first born daughter Tracy Octopizzo, has already been enrolled in a music class where she has learned how to play violin. Well, the Put Your Drinks Up rapper has already started influencing the younger with his artistic ornaments. 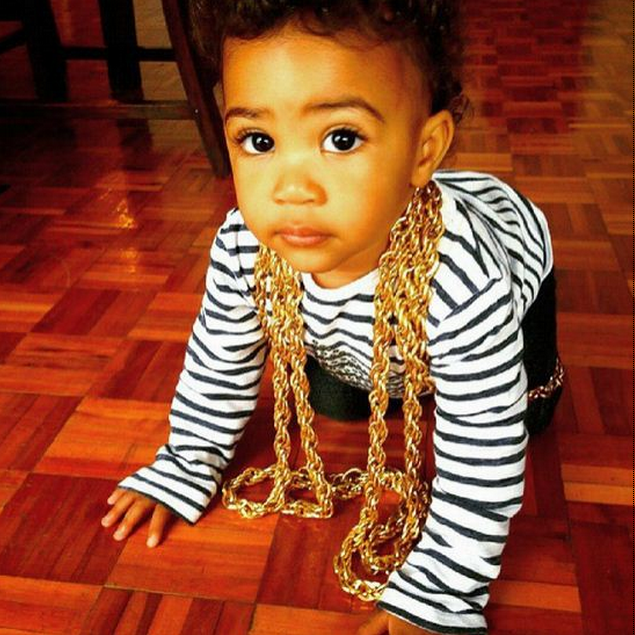 In a photo he posted on his instagram, he had photographed the youngest daughter Zara Jade, crawling while she rocked her dad’s long gold chain.